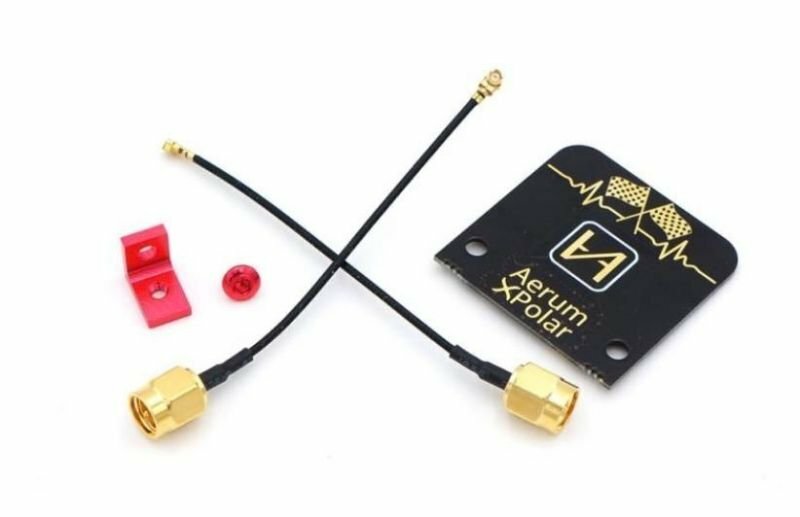 The Lumenier AXII 5.8GHz Antenna makes a giant leap forward in FPV antenna technology. 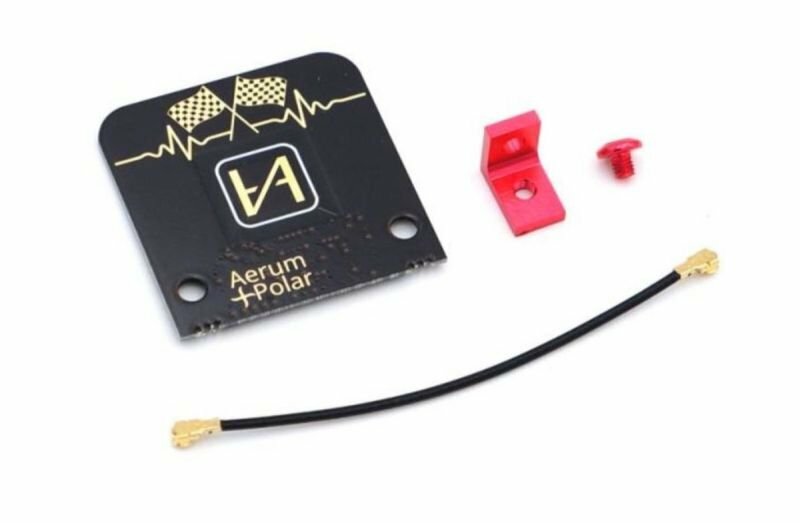 Lumenier, in collaboration with renowned FPV antenna designer Hugo of TrueRC, brings you one of the smallest, lightest and best performing FPV antennas in the world. 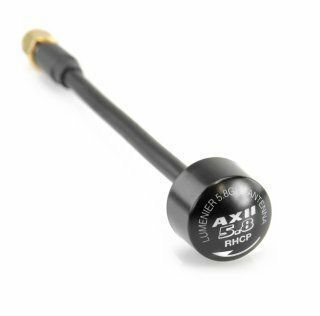 The AXII antenna is an original design that features a new RF pathway technology (unique hybrid network) allowing it to be incredibly lightweight (10.5g) and less than half the size of most other 5.8GHz CP antennas. The Long Range AXII was made with the long-range pilot in mind. The extended length is useful on both drones and on goggles. On drones, the longer design gets the antenna element further from both electronics and the carbon fiber of the frame, which can cause interference. On goggles, a common signal blocker is actually your head, most noticeable when you are flying behind yourself. This antenna gives plenty of clearance to get the antenna out and above your headspace, giving you 100% pure AXII signal! Even though the AXII is both small and lightweight, it does not sacrifice any performance. 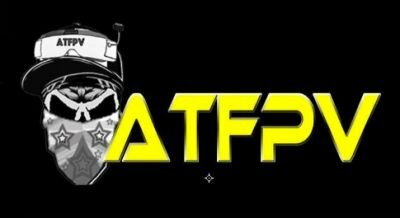 In fact, it outperforms most other antennas in all categories. Precision engineering has given this antenna a near perfect 1.0 Axial ratio resulting in a true circularity. On top of that, the AXII has a high max gain of 1.6dBic enabling better range and penetration. 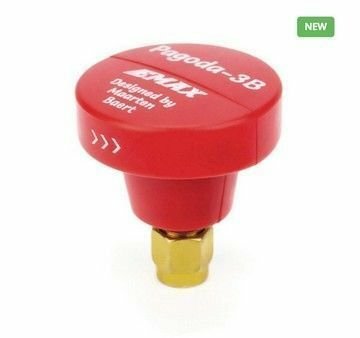 It has a wide bandwidth covering the popular FPV 5GHz band from 5.5GHz-6.0GHz, ensuring you have a clear and strong signal no matter which frequency you're on. 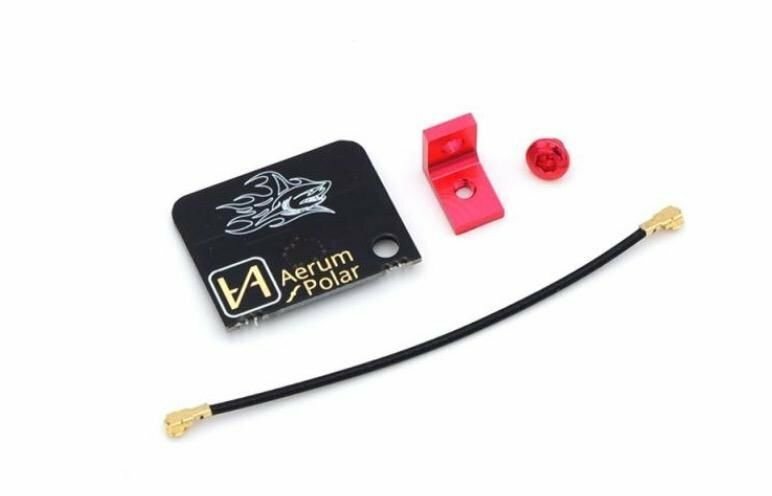 The AXII is designed to be ultra durable and put up with the beatings FPV pilots put on their antennas. The cable is a semi-rigid, black coated RG402 cable and 45mm long, allowing for 90 degrees or more of freedom. The SMA connection is reinforced with a metal collar crimped to the base for extra support. The outer shell case is made from an impact resistant polycarbonate material, and it is sealed shut to guard the antenna elements inside. Note: When installing, secure the antenna via the SMA connector, do not twist the cap.